With the need for insulation of sewer pipes, usually faced by the residents of private homes. To answer, whether it is impossible as a huge role here is played by the used technology of construction and climate zone. Despite this, it is safe to say that the warming of the sewer greatly prolongs its service life. Insulation of sewage is done to avoid the formation of ice jams and explosion due to temperature changes. But the occurrence of such situations is only possible due to improper installation or when a failure of the treatment plant. Properly laid pipe sewers do not require additional insulation. The exception is pipe-connected to the outside. This includes connections with meters and pumps. Insulate the sewer pipes is easy, so the solution of this problem the owner of a house can do on their own. You can use the several ways. The easiest and cheapest way is burying the pipes below the freezing level of the soil. But it should be done, given the continental location, as every town and suburb your the level of soil freezing. The disadvantage of such way of protection of the sewer pipeline is in the special structure of the soil and the presence of harmful substances and insects, which can destroy the structure of the pipes. In addition, you need to take into account the need for repair of pipeline in case of its breakthrough. In order to fix it, the pipe will have to re-dig. This process is time-consuming. Besides, if I have to dig out completely, then re-use such a tube is not desirable, therefore, will require the acquisition of new, and it is unnecessary costs. Based on this, we can conclude that this method impractical. The second method of insulation is to use an electric cable laid along the pipeline. Due to the cable pipeline will be warm regardless of the temperature outside. The drawback of this method is dependent on the power supply, when it is disconnected heated pipe ends. For heating pipes inside of the pipe layout in addition tee that provides input heating cable. - insulation in the form of cylinders. There are also integrated solutions that consist in using foil as a heat reflector. 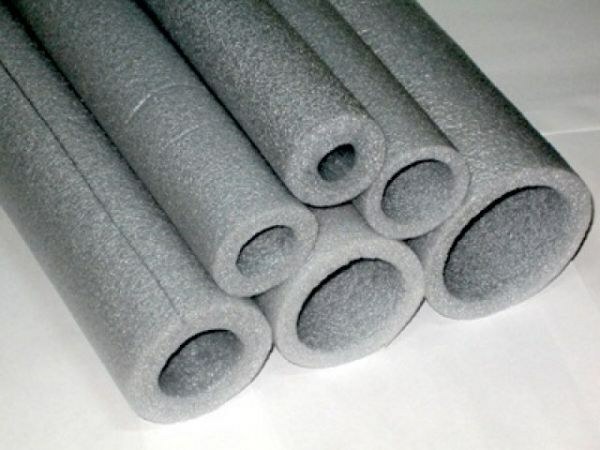 Today increasingly for thermal insulation used insulation, made in the form of cylinders. For this selected cylinders, which must exactly match the diameter of the pipe. The cylinders are placed on the Sewerage pipes so that in places where it joins the edge of the formed overlap, the width of which shall not be less than 10 cm Docking edges of heat insulating material fixed by adhesive tape. In places of bends of pipe are installed in a shaped shell, having the form of a tee or branch. Anyone who wants, for as long as possible not to deal with the repair of the sewage system should take care of its insulation. To neglect this can only be the inhabitants of the southern regions.